Back in January we ran a piece about the discovery of a hoard of gold coins found in a piano. This find turned out to consist of 913 gold coins (sovereigns and half-sovereigns) dating from 1847 to 1915. This is the largest such discovery ever made in Britain. A 1904 upright piano, made by John Broadwood and Sons (very similar to the instrument concealing the gold). 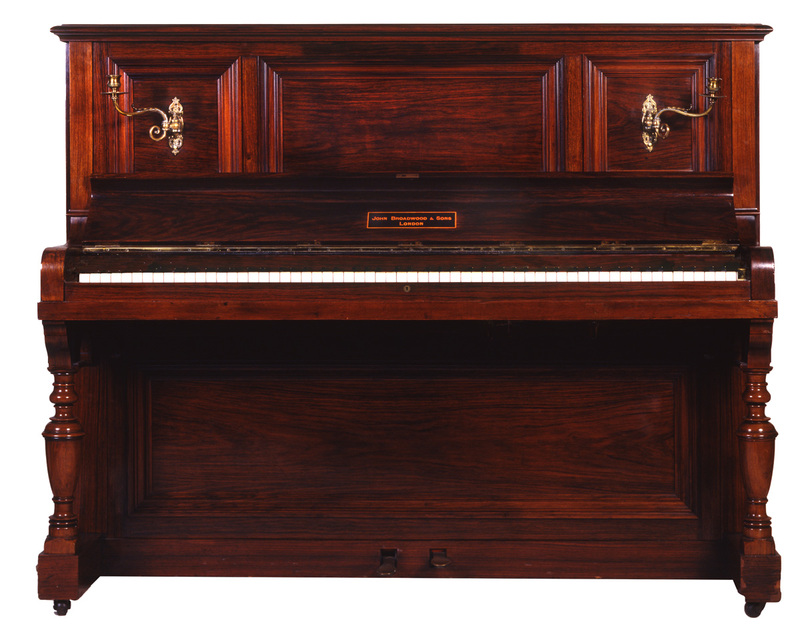 The Broadwood upright piano was originally owned by two music teachers, who bought the instrument in 1906. For many years its provenance was unclear, but in 1983 a local family purchased the piano. They recently moved to Shropshire and donated it to Bishops Castle Community College. The college decided that the piano needed renovation, and asked local piano tuner Martin Backhouse to service the instrument. Mr Backhouse subsequently found the coins in seven cloth bags located under the piano’s keyboard. Fifty people came forward to claim the gold. Shrewsbury Crown Court’s coroner decided their claims couldn’t be verified, and declared the gold to be “treasure”. This means that the finder must offer to sell the coins to a recognised museum or gallery for a sum set by the British Museum. Mr Backhouse, and Bishops Castle Community College will receive a substantial reward for their find.